For a girl my age — I am fifteen — I feel incredibly lucky to get opportunities to promote Indian culture with my henna skills and be able to raise funds for charity. Hello, I am Priya Matreja, a sophomore at South Fayette High School. 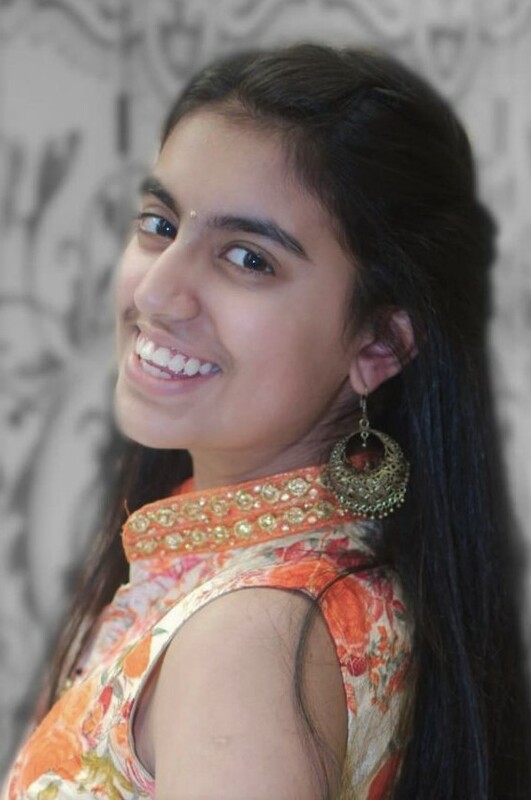 Along with school work, I participate in extracurricular activities, Indian classical dance, and volunteer at various places. But I never hesitate to spare time even on a school night for raising funds for charity with my henna skills. You may wonder how I learned my henna skills. I casually tried to decorate my hands using henna by watching videos on YouTube in 2016. Display in a local library. Slowly I started getting interested in the art and kept practicing it on my sister’s hands and sketch papers. It was not very long before I decided to make my passion a way to raise money. Well, what exactly is henna? 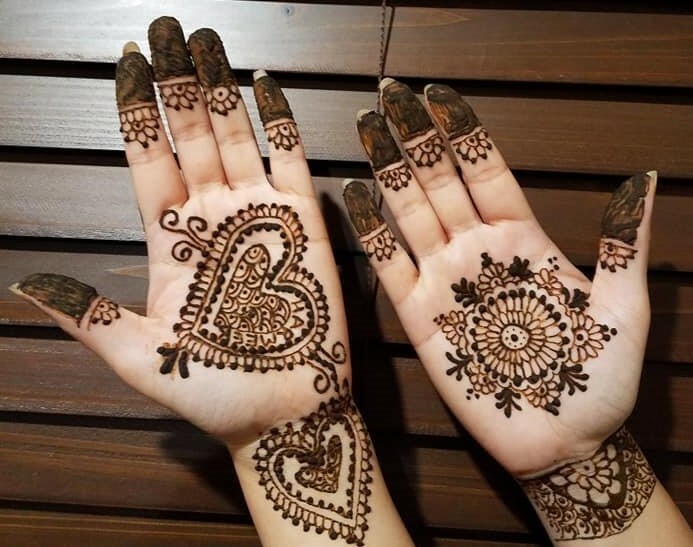 Henna, also known as mehndi, is an herbal plant-based paste used to decorate hands and feet and other parts of the human body with beautiful designs. These gorgeous designs last from about a few days to a little over a week. It takes a lot of effort to create even one design. First, I must practice multiple times before I present it to customers. Doing henna also requires immense patience because the lines do not always come out the way you want them to. Further, to do any design, you must sit for hours creating the design while keeping the customer from moving and ruining the pattern. My henna designs are shown here. 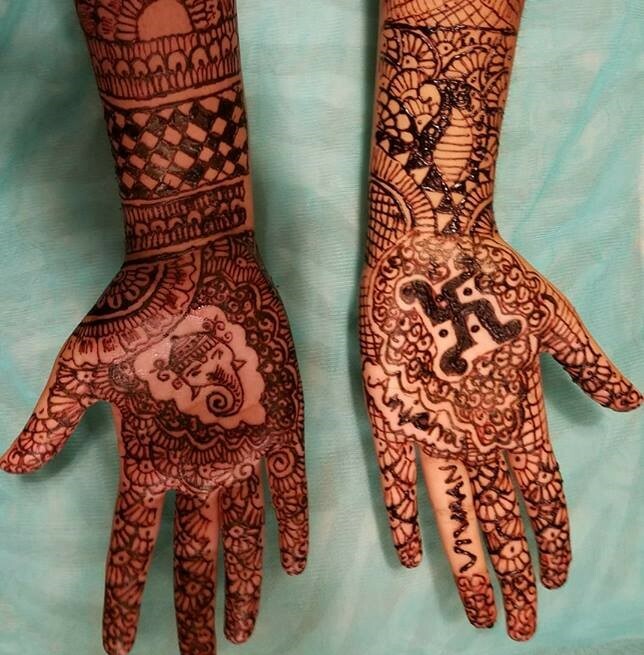 I have spent countless hours applying henna tattoos during Ganesh Chaturti, Teej, Karwa Chauth, Navaratri, Deepavali, and other functions. I also raised money through events such as “Asha” of Nandanik Dance Troupe and Durga Pooja of the Bengali Association of Pittsburgh. I also demonstrate my henna skills, share information about it, and create awareness about Indian culture in various places. 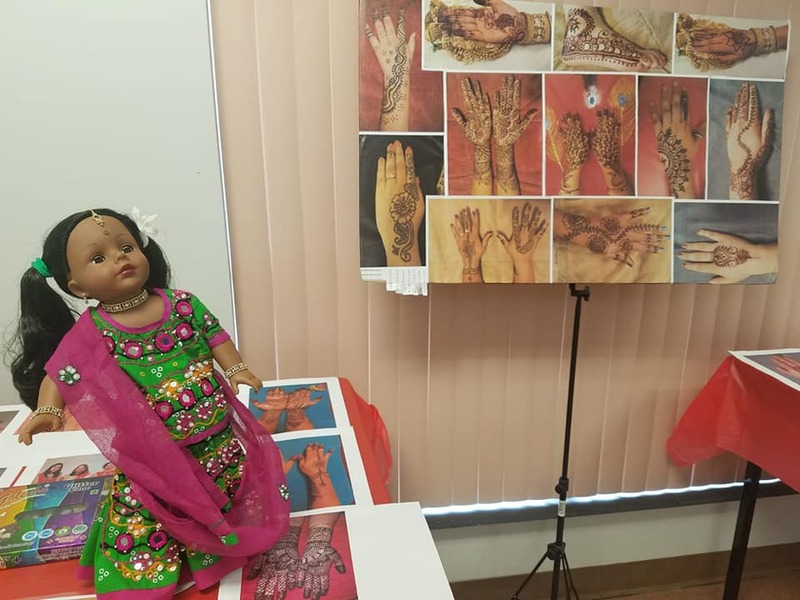 I was given the opportunity to present my henna designs at the South Fayette Township Library’s launch event for cultural awareness, featuring a new doll named Sundari. 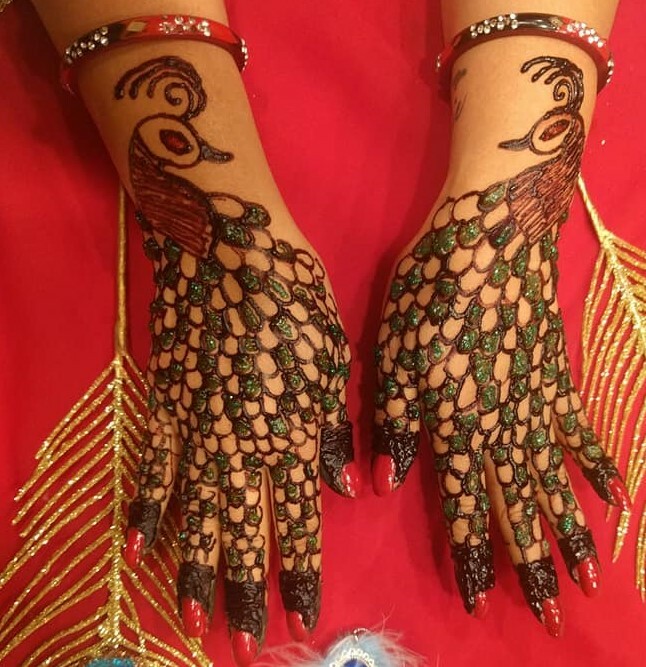 It’s gratifying to see the amazement on peoples’ faces when they find the variety of beautiful designs and discover how easy and pain-free it is to get the henna tattoo done with mehndi.It gives me great satisfaction when I donate everything that I earn. So far, I have raised about $400 towards the Kerala Flood Relief fund, the KDKA Turkey Fund (which provides Thanksgiving meals to the needy), Toys for Tots (which gives Christmas gifts to kids who cannot afford them) and others. I think I have made significant progress in my journey as a henna artist, thanks to all my patrons who have encouraged me to come this far. I hope to continue this, because I realize that there are always innovative ways to help mankind. This entry was posted on January 19, 2019, 12:51 pm and is filed under January 2019, Past issues. You can follow any responses to this entry through RSS 2.0. You can skip to the end and leave a response. Pinging is currently not allowed.